Come and join us on our eye lash extension training course to acquire all the skills necessary to become an expert in eye lash extension application! 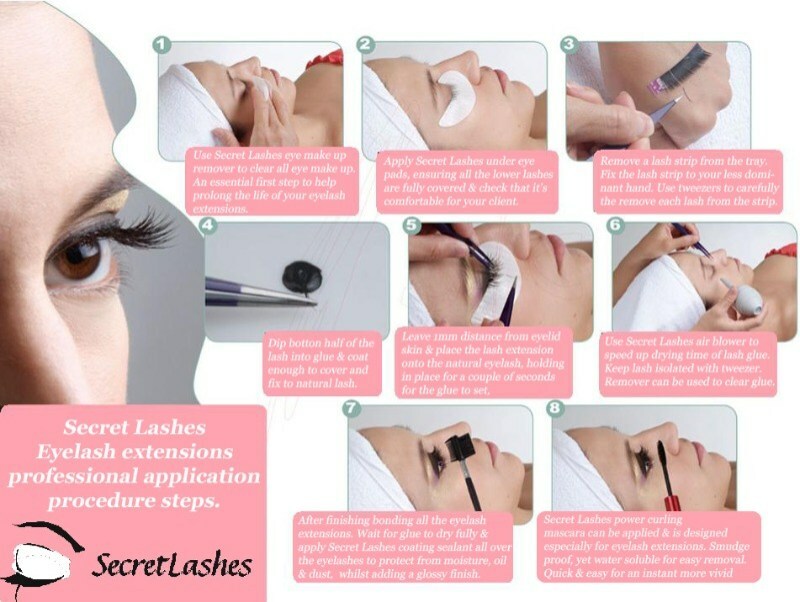 Secret Lashes kits allow for a variety of eyelash extension application techniques and methods, whether applying traditional semi permanent lash extensions, our exclusive volume lash extensions or for corrective issues. If you prefer trays or different lash sizes, just place your order and simply let us know your preferences at the checkout. Tailored kits are also available, just contact us with your requirements.